Jazz legend Herbie Hancock has been collaborating with Flying Lotus, as he discussed with Time Out Dubai. 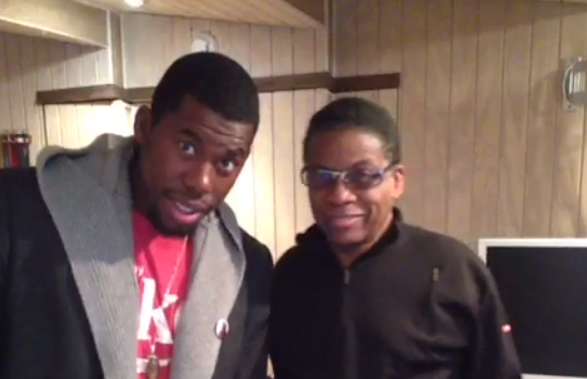 You’ll hopefully remember when we showed you footage of Herbie Hancock in the studio with Flying Lotus and Thundercat. Even earlier, there were rumours of a collaboration between the jazz icon and Los Angeles’ electronic maestro but it now seems less of a rumour and more of a reality. According to Time Out Dubai’s interview with Hancock, the musical union could be part of Hancock’s next album, however he also hints at FlyLo using it himself. Either way, we’re expecting magnificent results. Talk about a glowing endorsement. Of course, Herbie is no stranger to the world of electronic music; in fact, he’s something of a pioneer in the fusion with jazz with the iconic ‘Rockit’ featuring Grandmixer DST scratching for the first time and later, his heavily electronic-influenced Future 2 Future (his FORTY THIRD album). No news on a title or release date but we’ll let you know when it’s announced. This really is a match made in heaven.